Classic Edition: the FK 86 Lounge armchair is once again reflecting the spirit of the times with its balance of minimalist structure and opulent comfort. 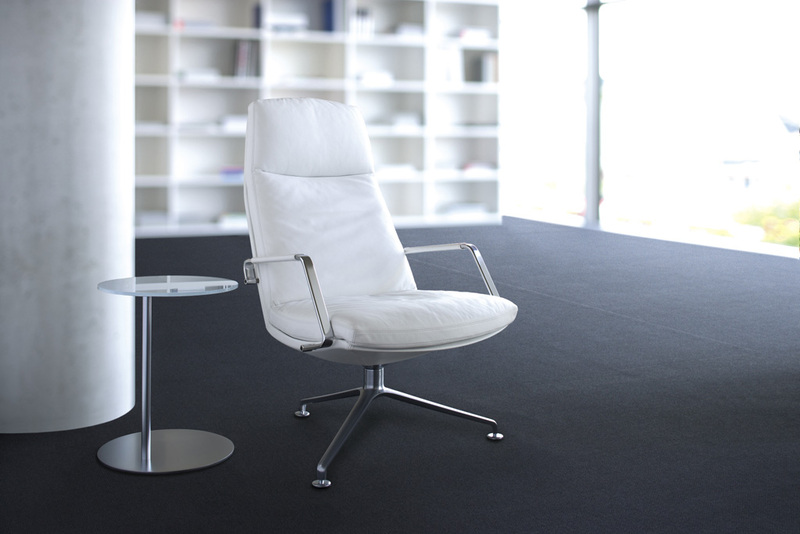 The thin backrest perfectly traces the clean contours. The soft down padding covering it guarantees a relaxed sitting experience. High-grade leather, fine seam patterns and striking metal are the hallmarks of quality second to none. The swiveling FK 86 demonstrates its strong character whether on its own, in a group or as a complement to a sofa. 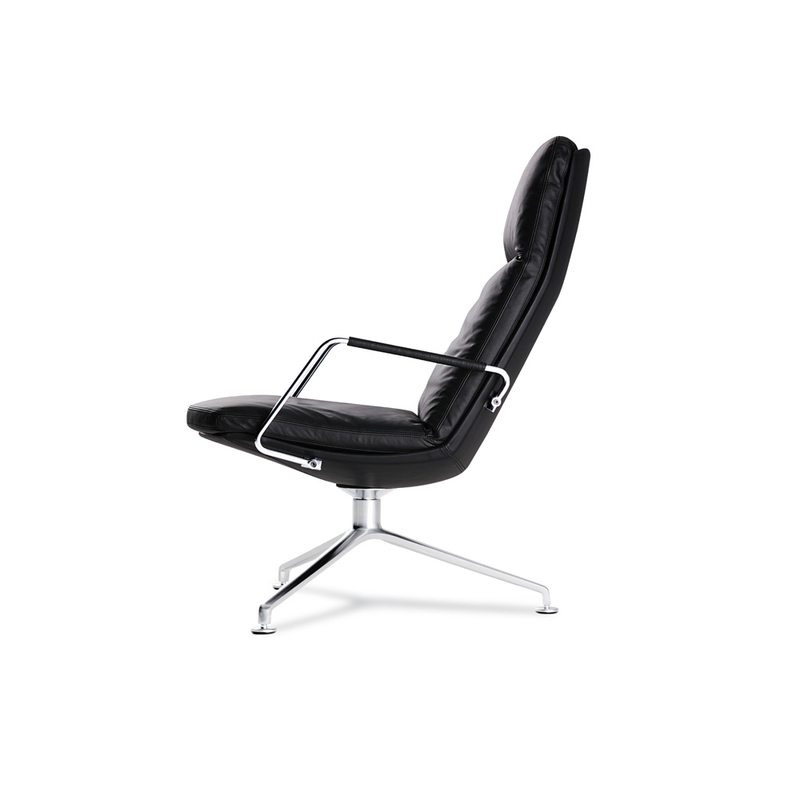 The armrests can optionally be refined and be wrapped with a saddle leather strap.